Continuing from the Type 95 Ha-Go based vehicles seen in the last news post. This news post shows some of the vehicles designed to replace it as the as the war in the pacific intensified. Because of the destruction of Japan's industrial capabilities it wasn't possible to put any of them into mass production & the Ha-Go was left to fight with ever decreasing effectiveness until the end of the war. At the same time Hino Motors were developing the Type 98 Ke-Ni Mitsubishi started work an alternative design using four large road wheels attached to coil springs in a similar layout to the Christie suspension system used by the Russians and British. During testing Hino Motor's Ke-Ni with Bell crank suspension proved to be superior and work on the Ke-Ni Otsu was stopped. A proposed upgrade of Type 98 Ke-Ni changing the turret for the one used on the Type 97 Chi-Ha "Shinhoto". This design didn't leave the drawing board and remained only a proposal. 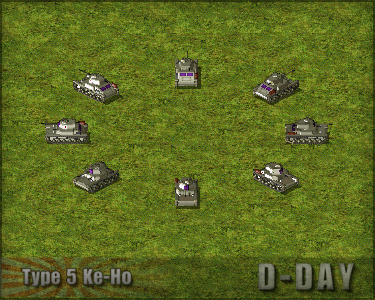 This design is often mistaken as an early or alternative version of the Type 5 Ke-Ho but they are separate projects. The Type 2 Ke-To was an upgrade of the Type 98 Ke-Ni, replacing the turret with a new taller version & changing the main cannon from a Type 100 37mm to the newer Type 1 37mm. Even thought it was originally designed in 1941 production didn't start until 1944, only 29 were eventually built before the end of the war and none where used in combat. 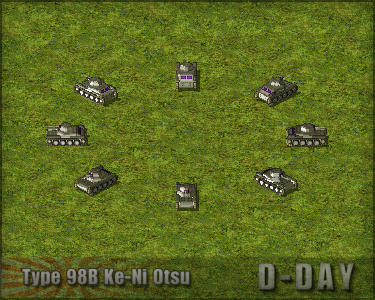 With the failure of the Type 98 Ke-Ni to fully replace the aging Type 95 Ha-Go work started in 1942 on a completely new light tank design to counter the growing allied threat. At the time there was more interest in developing new medium tanks, the navy also had priority for steel so the project was put on hold. 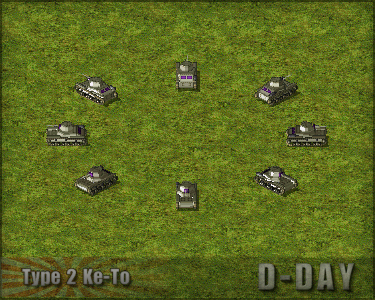 By 1945 the Ha-Go was now gravely obsolete and suffering heavy losses, with no available replacement production of the Ke-Ho was finally authorized. With japans industrial infrastructure destroyed and severe shortages of materials it was impossible to start mass production though. It is believed that a single prototype was completed before the end of the war but no photographic evidence has been found. 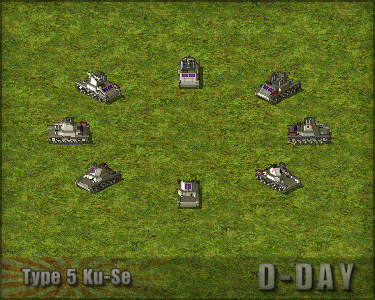 The Ku-Se was a proposal to modify the Type 5 Ke-Ho by removing the turret and replacing it with a fixed structure equip with a 75mm Type 99 gun, creating a fast and agile light support vehicle. 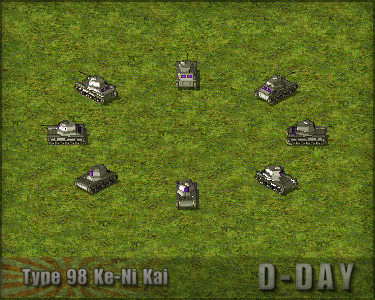 The war ended before a prototype of the Ke-Ho and in turn the Ku-Se was completed. Of course that is not your mistake, great work! They were just so tiny and and boxy.